When the Pixel Launcher was first leaked, a wallpaper picker was leaked right alongside it. 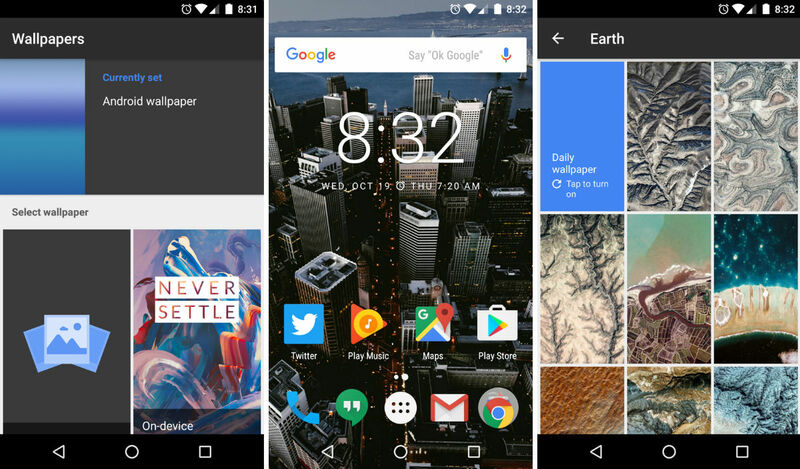 This morning, that wallpaper app is officially available for all Android devices straight from Google Play. Titled a very simple Wallpapers, this app features Google’s own creations, plus a mix of photos and designs from the 500px community. Once booted up and opened, you will find different categories to fulfill your wallpapers needs. Inside, there are collections for Earth, Textures, Landscapes, Cityscapes, and Life. In addition, the app pulls in all of your on-device live wallpapers. Other features include the ability to have the app set new daily wallpapers, as well as view links to see who and where some of these extraordinary wallpapers come from. Who knows, you may discover an artist or photographer you very much enjoy. To see the Wallpapers app in action, check out our Pixel Launcher tour video below.